Is React Native the End of Native Development? What Apps of tomorrow will look like? Is Geotagging the Future of Customer-business Interactions? How to Develop Low Cost Business Apps? Why Outsource Mobile App Development to India? Are Universal Apps the Key to Windows 10 Mobile App Development? Mobile technology is taking our lives by storm. The average time spent by people on their phones for non-voice content has increased almost five times in the past few years. To an extent, it has to do with normal, day-to-day apps, but lately, mobile games are turning into one of the main reasons why people spend so much time on their smartphones. Globally, the mobile gaming industry generated $7.8 billion in the year 2012, reached about $99.6 billion in 2016, and grew to an approximately $107.6 billion in 2017. One of the main reasons behind this success is that mobile games are portable and provide one of the best forms of entertainment anywhere and at any time. The rapid growth of this industry has led to a whole host of companies offering apps in the mobile games space. Another great year for mobile gaming apps has gone by. Each year we see a new array of trends and innovations in the mobile gaming app industry and the coming year will be no different. By 2018, the revenue generated by mobile game apps will reach new heights. The introduction of new devices and technologies will lead to fierce competition between mobile game app developers and they will have to revamp their current game promotions and development strategies. 1. Expansion Packs are the Way to Go: An expansion pack is simply an addition to an existing mobile game. Till date, expansion packs have been resigned to supporting high-profile PC and console games. Currently, mobile app developers are warming to the idea of expansion packs, which remain one of the best methods to retain initial game adopters and make them come back for more. Though it is not an entirely new concept, it will be more evident in the coming years. With the boom in mobile gaming industry and the sky-rocketing costs of acquiring new customers it seems logical to keep the existing customers happy. 2. Rise of Mini Games: Mini games are small games which crop up in larger games. These do not require any additional installation steps and are often socially integrated to promote sharing and competition amongst friends. These will hold great importance in future as they help in increasing user engagement and retention. 3. Mobile Games for All Ages: Most mobile games are usually targeted for the younger generations but the trend is changing very fast. With more and more people from all age groups becoming increasingly tech-savvy and having an abundant amount of time at their disposal, this is a segment of market which needs to be looked at. Developing game apps for the mature adults will be the next big thing, and games like Hitman GO further drive home the point that adult oriented games are here to stay. 4. Decline of Game Consoles: Though game consoles such as PlayStation and Xbox are becoming better with every release, the projected sales seem to be on the decline. This is not because any of the gaming consoles are bad, but because they are being steadily replaced by much cheaper and flexible options on the mobile. People prefer to game on mobiles when they have free time, either while commuting to work, or when taking a quick break during a long work day. This is something which is just not possible on consoles. 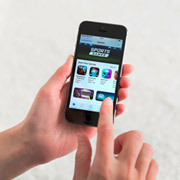 Mobile game apps therefore have captured the ever-growing market and will continue to do so in the near future. 5. Mobile Game Revenues will Go Global: Though the US continues to be at the top of the mobile gamers ranking list it still comprises of only 15% of the total number of global mobile gamers. The main reason for this is the emergence of new markets like China and India. Mobile game app developers will make their presence felt by dropping the prices further for their games in these regions, thereby leading to better revenues. 6. Rapidly Rising CPIs: The cost associated with finding new players for mobile games that generate more revenue is already high and with growing competition the cost per install (CPI) will increase even more. Even most well-known franchises and their games will have to pay a steep cost to find and retain players. 7. The Rise of Preordering Games: As cost per installs reaches greater heights, gaming app developers will look out for other solutions. One good method which will prevail is allowing pre-registering or pre-ordering of the games. Pre-ordering games is nothing new, as the PC and console gaming market depends heavily on game preorders to lure in existing fans, as well as potential players who are on the ropes about buying the game. Pre-ordered games generally provide an incentive to do so, which is not available to gamers who buy the game after release. As this feature will become more popular among mobile gamers, the whole method of launching new mobile games and acquiring new users will change. 8. Subscription Model on the Rise: The subscription model for mobile games is gathering a lot of momentum nowadays. Most of the daily-use-item based PC and console games in the United States use the subscription model, and it will only be a matter of time before mobile game apps follow suit. 9. Augmented Reality Games Will Gain Momentum: It is estimated that there will be about 200 million AR users worldwide by 2018. Augmented Reality is more suited for smaller screens and is changing the face of the mobile gaming industry. Most of the AR apps are still in the development phase, and the first app will probably hit the app stores in 2016. 10. Cloud-based Games on the Rise: Many small and large gaming companies are looking towards developing cloud-based gaming apps. These cloud-based games incorporate high-end game engines which can draw from the power of the cloud for incredible visualizations as well as social media integration and competitive play elements. The major goal of mobile game app developers will be to simplify the mobile game design and development process by letting the cloud take care of most of the grunt work. 11. Open Source Development to Grow: The global adoption of freemium mobile games will result in the growth of small firms developing game apps. The open-source advantages available to developers today means small firms will no longer have to purchase expensive SDKs and game engines to create apps. They can employ ready-made platforms for their work and concentrate more on innovation. 12. Wearable Technologies to Kick-off: By 2018, about 135 million units of wearable technology will be shipped worldwide. Majority of them will consist of smart watches and wrist bands. With the evolution of wearable devices, mobile game app developers will look to incorporate these technologies to provide the customers with a great experience. Currently, there is already a spate of games which can mirror in-game notifications on smart watches. 13. New Approach towards Updates: Mobile game updates are no more about regular bug fixes. Major mobile game app developers use the "game-as-a-service" model to provide a great user experience and increase engagement. Software experts also predict the rapid growth of feeder apps which are simple but very addictive. Outsource2india has been in the mobile app development field for about 20 years now and has served many clients around the globe. We have a team of highly qualified and experienced mobile gaming app developers who are trained to follow the latest mobile game trends while developing game apps. We have the expertise in developing mobile games in different categories including arcade, strategy, adventure, card, sports, etc. Our mobile game app developers have the required experience of creating apps on different platforms such as Android, iOS, Windows, etc. If you have any kind of mobile game app development requirement, feel free to get in touch with us.